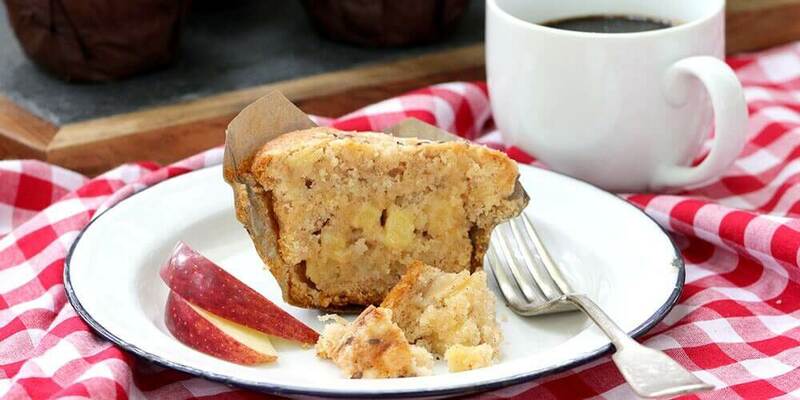 Sola® Sweet and moist flaxseed and apple muffins are a delicious reduced sugar option which make for a satisfying breakfast treat! Line an eight-cup muffin pan with paper liners. Sift all of the dry ingredients into a large mixing bowl or the bowl of a stand mixer fitted with the whisk attachment. In a separate bowl, whisk together the egg, vanilla extract, and buttermilk, then add to the dry ingredients, with the softened butter. Using the stand mixer or an electric hand mixer, beat the ingredients together for one to two minutes until light and fluffy. Stir in the diced apple. Divide the mixture evenly between the cupcake liners and place the pan in the oven for 15 minutes. While the muffins are baking, make the crumble topping: add all topping ingredients to a small bowl and blend together with your hands until the texture is that of coarse breadcrumbs. After 15 minutes, pull the oven rack out slightly and quickly sprinkle an even amount of crumble topping and a few flaxseeds over each muffin, without taking the pan out of the oven. Rotate the muffin pan and bake for a further 15 to 20 minutes, until risen, golden-brown, and an inserted skewer comes out clean. Allow the muffins to cool slightly before serving.